Revisiting the music of the ’90s, it’s hard not to feel a little nostalgic. There are dozens upon dozens, if not hundreds, of albums from the era that could instantly whisk me back to my teenage years in a single note. While I won’t lie and say those were the best years of my life, there’s a certain something comforting about that, though there is a much smaller, more exclusive group of records that still leave me with the same feeling of awe as that which overcame me after that first listen. These are the Neutral Milk Hotels and the Jeff Buckleys, the Radioheads and DJ Shadows, and perhaps to an even more exaggerated degree, My Bloody Valentine. My Bloody Valentine’s Loveless is the rare album that made its way into my collection without me hearing any of it until minutes after laying the cash down on the counter. I had heard plenty about the album, just not the music itself, but when it came right down to it, something about that hazy, red, distorted guitar photograph on the cover seduced me into buying it. And then came the first listen, with leadoff track “Only Shallow” surging through me, my ears left defenseless but ecstatic. The experience was akin to the infamous montage scenes in Aronofsky’s Requiem For A Dream—I soaked in the rush of sound, blood vessels expanding, pupils dilating—without the prostitution or severed limbs of course. Millions of words and inches have already been committed to describing and discussing Loveless, and to try and add something new could either be seen as superfluous or arrogant, but everything that’s been said about this album bears repeating. It’s as stunning a rock album as one will likely ever hear, dense and noisy, chaotic but calming. Loveless is driven by guitars—big guitars, loud guitars, hazy and oblique sheets of guitar, cascading waterfalls of guitar, strings, distortion and tremolo. To hear Loveless, one would think that there were about 100 guitar tracks in every song, but Kevin Shields once debunked this myth, claiming that there are, in fact, fewer guitars on this album than on most bands’ demos. Furthermore, there are no chorus or flanger pedals on Loveless, unlike the work of many of their shoegazing contemporaries. How, exactly, My Bloody Valentine came to create the sounds on Loveless seems almost an act of divine inspiration. The band’s approach was deceptively simple, with minimal effects pedals used, though it was most certainly a studio creation, with various producers being hired and fired over the two years during which it was recorded, and countless takes, often recorded with no communication, or even access to hearing the recording, between musicians and engineers. Still, the deft use of the equipment and the reliance upon a relatively bare-bones guitar setup led to the creation of an album that sounds enormous, surreal, even magical, but familiar and seductive. Instrumental identities become even more greatly obscured in the beautifully bizarre “To Here Knows When,” which sounds absolutely heavenly, its miasmic, gliding melodies sounding transcendent and gorgeous enough to make a grown man weep. “When You Sleep” is one of the more straightforward tracks on the album, with drums, bass and guitar sounding reasonably normal, but powerful and awe-inspiring all the same. The vocals, however, are the most bizarre aspect, with Shields and Butcher’s voice layered about a half-dozen times each. Supposedly nobody was satisfied with any individual take, so to rectify it, and express their frustration, they layered every take they recorded and left it at that. It just so happened that it sounds even more amazing with this chorus of voices. Fuzz ballad “Sometimes” has become linked to its inclusion in Lost in Translation, and with good reason. The fusion of tear-jerking visuals and sublime sounds makes the scene in which it is played immortal, though without it, one could just as easily be moved by this incredible song. Simpler than most songs here, “Sometimes” no less sounds huge, thanks in part to an overwhelming field of distortion. Seven-minute closer “Soon” ends the album on a danceable note, with O’Ciosoig’s looped drums providing a solid groove over which the band layers more and more beautiful noise. It’s the rare song on Loveless that’s as much at home on the dancefloor as it is in one’s bedroom. To call Loveless the best shoegazer album of all time would be true, but doesn’t scratch the surface of just how mesmerizing it is. To call this the best rock album of the ’90s would also be accurate, but still doesn’t quite cover it. My Bloody Valentine recorded a perfect album in Loveless, but even saying that isn’t enough. 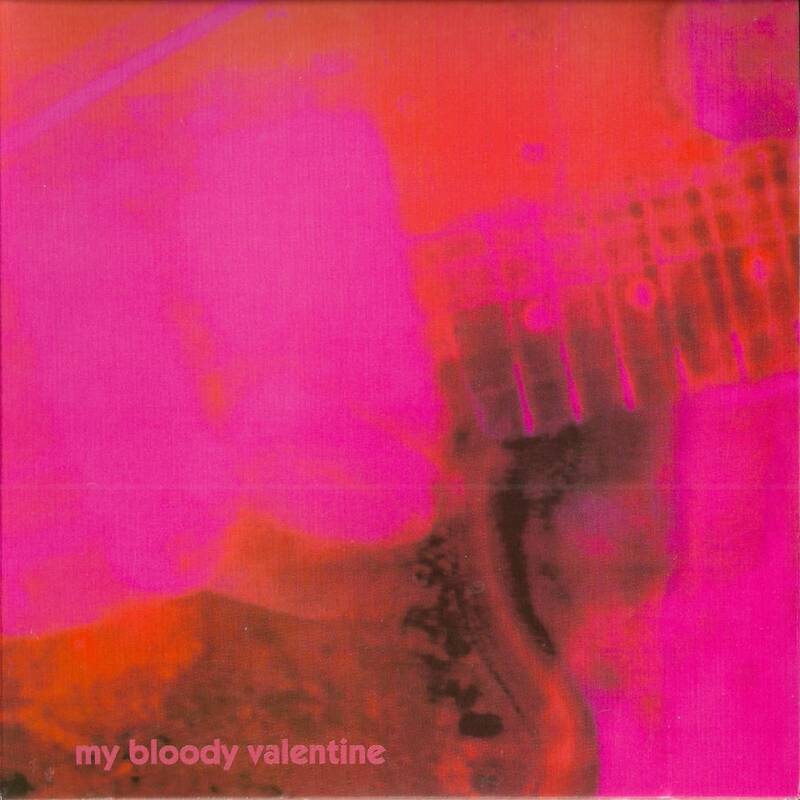 Quite simply, My Bloody Valentine’s Loveless is the perfect album.